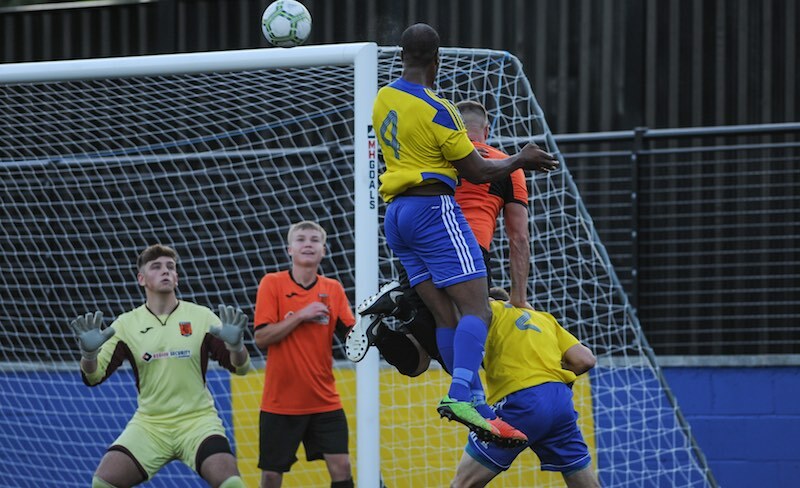 Goals from Leon Miles, Carlo Franco, Jay Holdcroft and Lee Chilton earned Khalsa a useful win against their neighbours Wolverhampton Sporting Community and gave a boost ahead of this weekend’s FA Cup journey to Stourport. Although they took a while to get going, Khalsa seized the momentum when Miles nodded home Josh Thomas‘s corner on 19 minutes, giving the home side the advantage for most of the first half. Despite a series of chances, Khalsa went in just one up at half time. Just after the break, Franco’s header from Alex Woodhouse‘s cross doubled the lead before substitutes Holdcroft and Chilton put the game beyond doubt in the later stages. A late scrambled effort by Edilson Antonio denied Khalsa a clean sheet and put a bit of a dampener on the mood.